The cost of a recipe can be worked out for a portion and the recipe. You can work out costs by hand, on a spreadsheet or using a computer program. Where you shop – supermarket, local market ..
To calculate the cost of the dish and compare with a commercial product. Differentiated worksheets and home learning resources to calculate costs of spaghetti bolognaise or chilli. 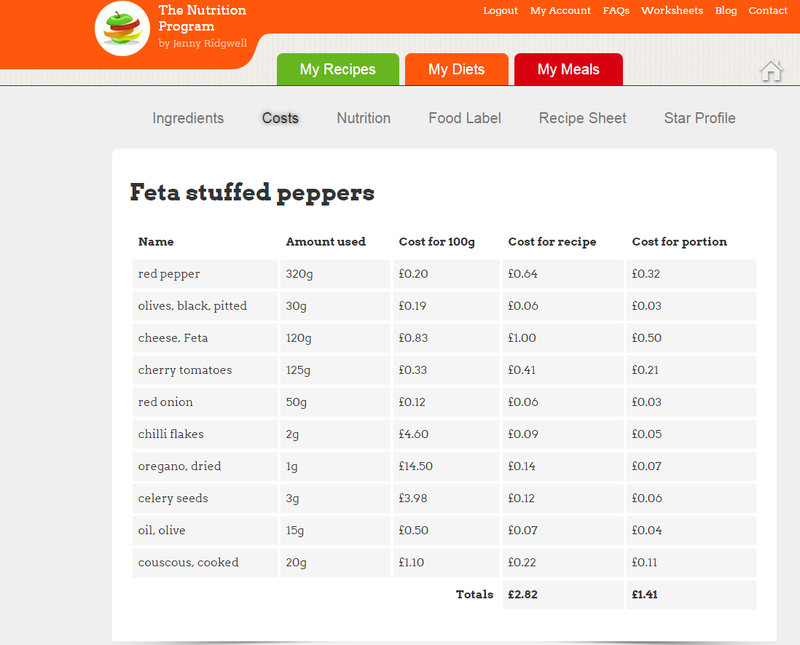 Work out the cost of ingredients to make chosen dish and compare to ready-meal tested. Consider suitable recipe ideas, sourcing of ingredients to promote environmental and ethical awareness, nutritional profiles of recipes, costs, cooking and serving times. Produce a recipe card of each of the dishes made listing the ingredients, method of making, nutritional profile, allergy advice, costing and special dietary, health or environmental claims. See how the Nutrition Program can do it for you! 3. Look at the bottom of the chart – the recipe costs £2.82 and the porton costs £1.41.